From Portland Oregon, Plants is guitarist/vocalist Joshua Blanchard and his wife, mult-instrumentalist Molly Griffith. 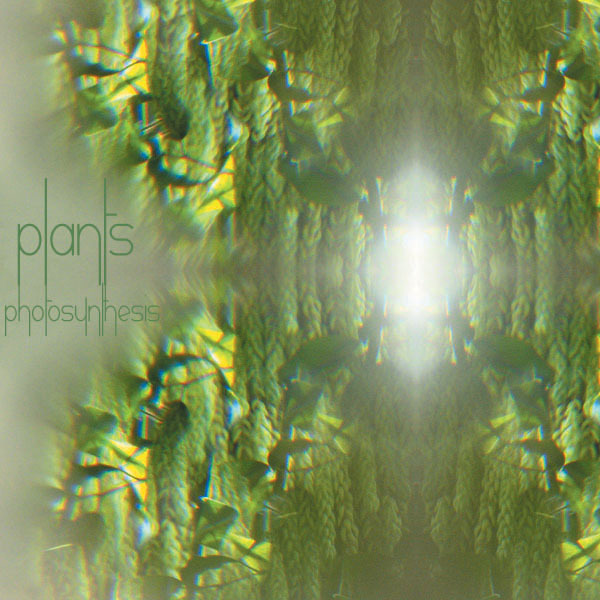 For the Photosynthesis CD they are joined by Ben and Jason Buehler, Howard Gillam, and Michael Braun-Hamilton. PHOTOSYNTHESIS I didn't realize until after a few listens how short this CD is, 35 minutes, an EP?! ?...Loops and drones, some flute? Plant like beauty, the first time I ever tripped I wanted to crawl inside the plants and this reminds me of that feeling! SEEDLING acoustic guitar, some harmonica?...what makes this CD so appealing is that it's so tastefully done...then some female/male vocals, conjurs the Incredible String Band! "Grow, grow....." SEEDLING TWO science fictional intro then the drones....the beautiful lushness!...the more I listen to this CD the less I can think to say about it!? Interesting, I'm not sure what that means/implies? Tho I really love this CD, I wish it was much longer, like a 4 CD set with 30 minute long songs....TUMBLEWEED banjo, guitar, beautiful, lush, folk, country tune. This CD is like the short advertisement for the massive, epic 10 hour CD that you wish was coming up soon/next! ROOTS drones, guitar plinking, intense low end violin notes. I know what it is, these songs seem like 4 minute snap shots of the vastness of beauty and music that you just know exists out there somehwere, but nobody seems to actually be able to get recorded and pressed to CD! BIRD FLOWERS short, tinkling, water running, still intense quiet...theremin? Birds, cats...a sound collage...very nice/pretty. SEEDLING THREE guitar, percussion, vocals that again remind one of the majestic Incredible String Band, great melody, very impressive! A HIDDEN WORLD EXPOSED some Molly Griffith harpsichord? Their Myspace page calls the music "Healing and Easy Listening" which is pretty brave of them to say but also pretty accurate! Drones, backwards sounds...the perfect outro song. I love the feel, vibe of this CD, it is very healing and green! !